Have you received a traffic ticket in Asheboro, Archdale or elsewhere in Randolph County County, NC? Our Randolph County traffic attorneys are here to help. Traffic Attorney Joel Sawyer on staff with iTicket.law is here to help with your Randolph County speeding ticket. Attorney Sawyer has been practicing law for over 15 years and his goal is to seek an outcome for your traffic case that would not impact your drivers license or auto insurance*. While every case is unique, iTicket.law and the Hatley Law Office has handled tens of thousands of traffic cases and often know the best legal avenues available to you. Why waste your time in traffic court when you can have a traffic lawyer go on your behalf? If you have to make numerous appearances, that could mean losing vacation days at work, needing to find a babysitter and other inconveniences. Often, the opportunity cost of going to court far outweighs the low legal fee of $99 to hire an attorney to go on your behalf. Attorney Sawyer joined our staff two years ago and is a former Assistant District Attorney for Judicial District 17-B. Since 2009, Attorney Sawyer has been practicing traffic and criminal law in Randolph County and he's very familiar with the Randolph County District Attorney's policies and procedures. Randolph County and Montgomery County are neighboring counties and share the same District Attorney's office and judges. Consequently, there are many similarities between the two when it comes to traffic law. 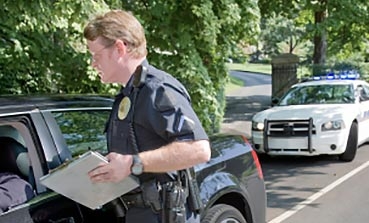 Many cases, for example, are able to be taken care of without appearing in court, which is not unique across the state, but sometimes even more serious speeding offenses can be handled without an appearance so long as your traffic attorney is able to negotiate a substantial reduction. To know for sure, it is vital that you contact an attorney for expert legal advice. Randolph County holds court for traffic offenses, such as speeding tickets and accident matters, almost every Friday. More severe cases are sometimes disposed of in regular District Court during other weekdays. 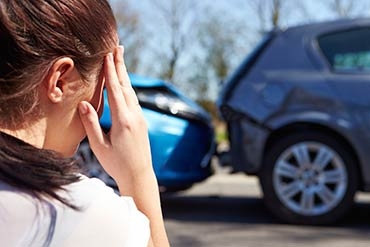 Attorney Sawyer is well-versed in North Carolina Department of Motor Vehicle and Department of Insurance rules and how your charge and negotiated outcome will affect your license and insurance. In Randolph County, the DA’s Office is sometimes willing to negotiate a reduction of some traffic tickets to infractions, which cause neither license nor insurance points. Other counties are sometimes far more onerous. In certain circumstances, Randolph County Judges are willing to do Prayer for Judgment Continuances (PJC’s). As part of the negotiation process, completing driving schools and community service are not often necessary, as they are in many other North Carolina counties. Hiring a traffic attorney can save you time and money in the long haul. If you do decide that having a traffic attorney is in your best interest, we ask that you consider the Hatley Law Office. With offices all over the state and an innovative online process, we aim to be your go to solution, no matter where you are. Our vision is to bring the legal industry into the 21st century. 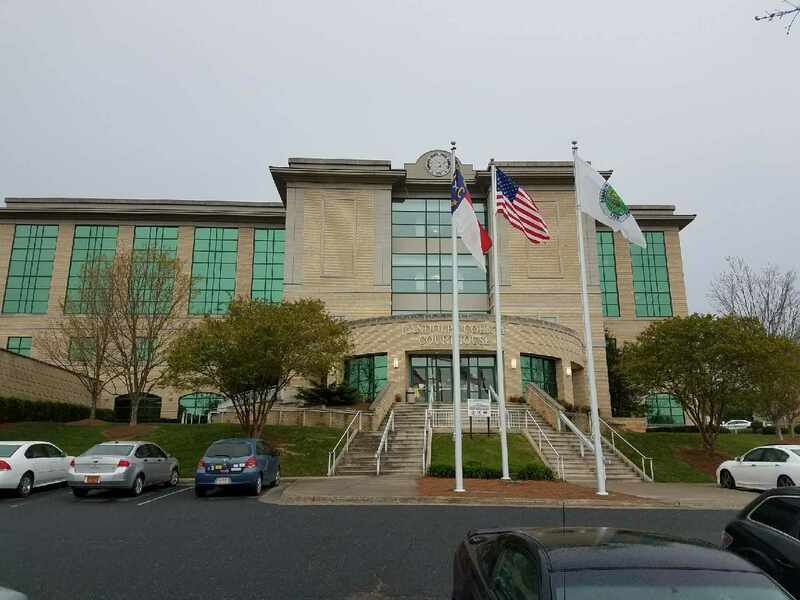 If you have a traffic citation in Asheboro, Archdale, or anywhere in Randolph County North Carolina and don’t feel comfortable going to traffic court at 176 E. Salisbury St. Ashboro, NC 27203, please call us at (919) 200-0822. Thousands have and are happy. Check out our reviews on Google and have confidence in our 100% Satisfaction Guarantee*. For more information on Randolph County, please visit the Randolph County Directory or contact the Randolph County Clerk of Court. Isn't it easier to mail in payment for my Randolph County traffic ticket? Can I save money by going to Randolph County court by myself? How much are court costs and fines in Randolph County? To preface, every case is unique. However, often times in Randolph County, Improper Equipment reductions are $263 in court costs and fines. Speeding 9 mph over the limit are $238 and Prayer for Judgement Continued is $188. Depending on the details of your case, it's very possible that the fines could be higher. Court costs can easily be paid online up to 40 days after your case has been closed. 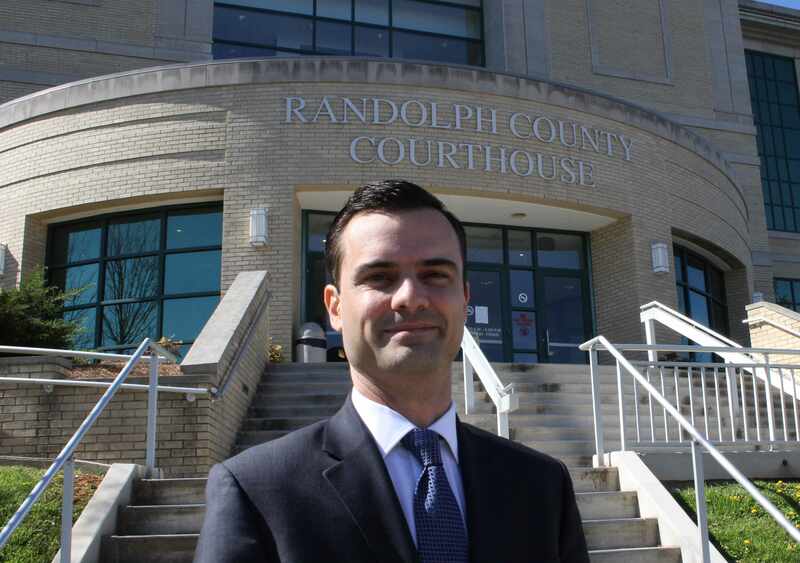 Who is the current elected District Attorney in Randolph County? The current elected District Attorney of Randolph County is Andrew Gregson. Can I meet with Attorney Sawyer in person to discuss my traffic citation? Absolutely. Often times it's much more convenient for you to discuss your matter over the phone or via email, but meetings at our Asheboro office can be made by appointment only. Our address is 624 S. Fayetteville St. Suite F-9, Asheboro, NC 27203. Unfortunately, walk-ins are not allowed. How does a traffic conviction in Randolph County affect my insurance costs? Click to hire Traffic Attorney Sawyer in Randolph. 1. Most police officers will commonly advise you how to pay the ticket. If you do this, you are pleading guilty to a traffic offense, saving the officer the trouble of coming to traffic court to testify (if there's a trial), paying a fine, AND will likely have your insurance rates increase. You also give up your right to have a lawyer make an explanation on your behalf, or request that the charges against you be dismissed or reduced. Randolph County Traffic Attorney Joel Sawyer works for you, not for the court. A police officer and the District Attorney have common goals. You need a lawyer who advocates for you.